I’ve been talking about it and finally got it done! 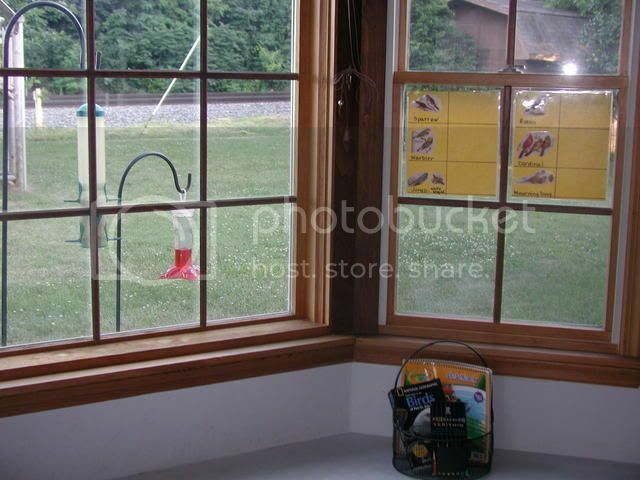 We have an official “bird watching” window now! 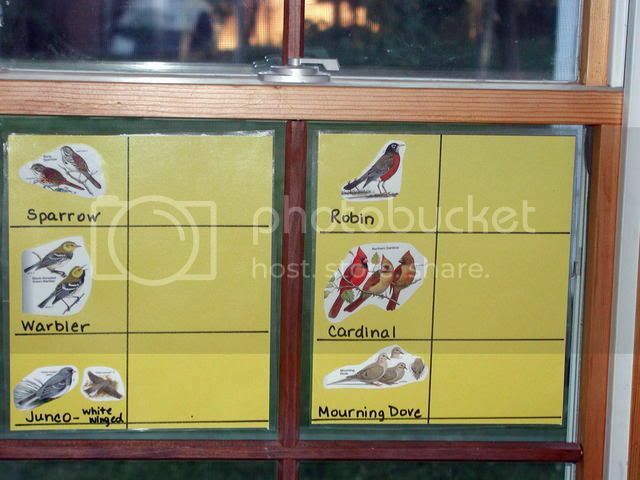 I color copied 6 of the birds we see most often at our bird feeders and made a chart out of them. The girls are going to mark the chart each time they see one of the birds. I think this will help them be able to identify the birds we see, learn their names and see which birds come the most often, least often to our home. After we have learned these 6 I may put some others up. 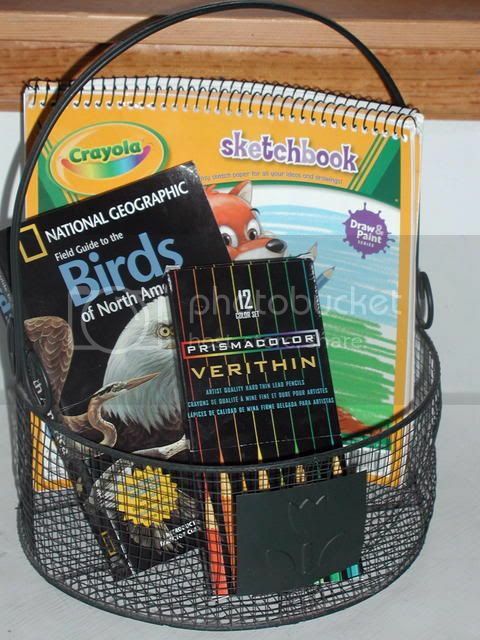 We also have a basket with our nature journals, a bird guide and colored pencils sitting by the window where the bird feeders are. 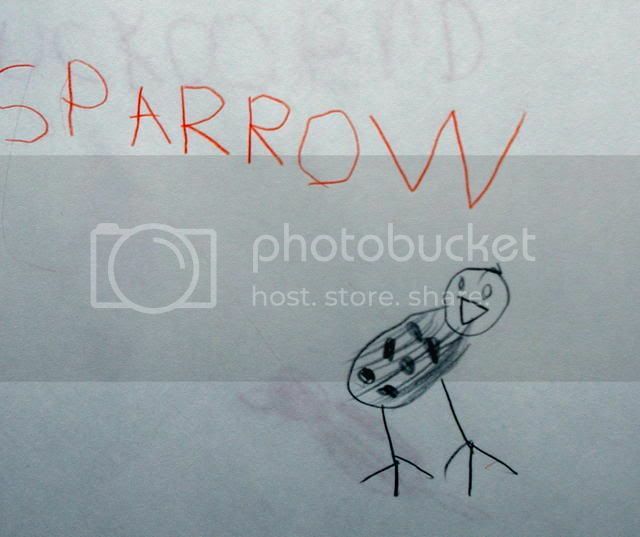 This basket has been there for about a week and the girls are enjoying drawing birds more and more! 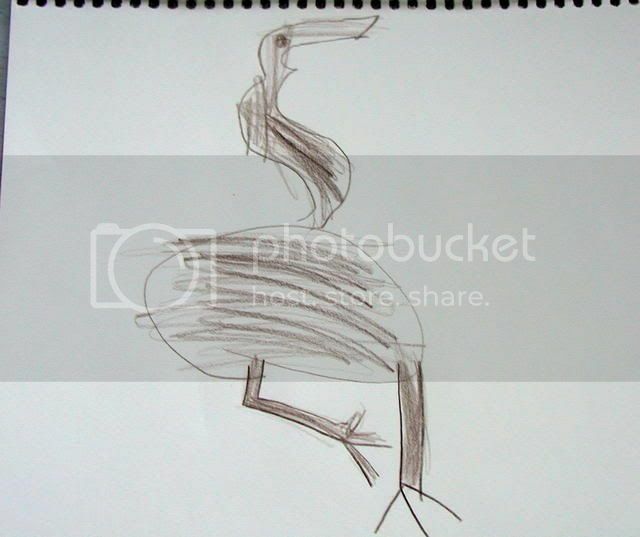 The first few times we drew in our nature journals (months ago) they would say “I can’t do it, I can’t draw that…” and now they are EAGER and ASK to draw things in their nature journals all the time, without any prodding from me! I love it! 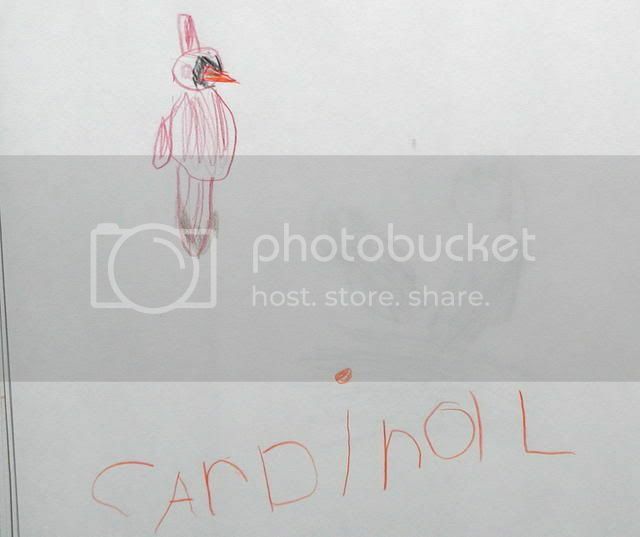 Here are a few pictures of our bird watching window, as well as a few drawings that Hannah has done this week!